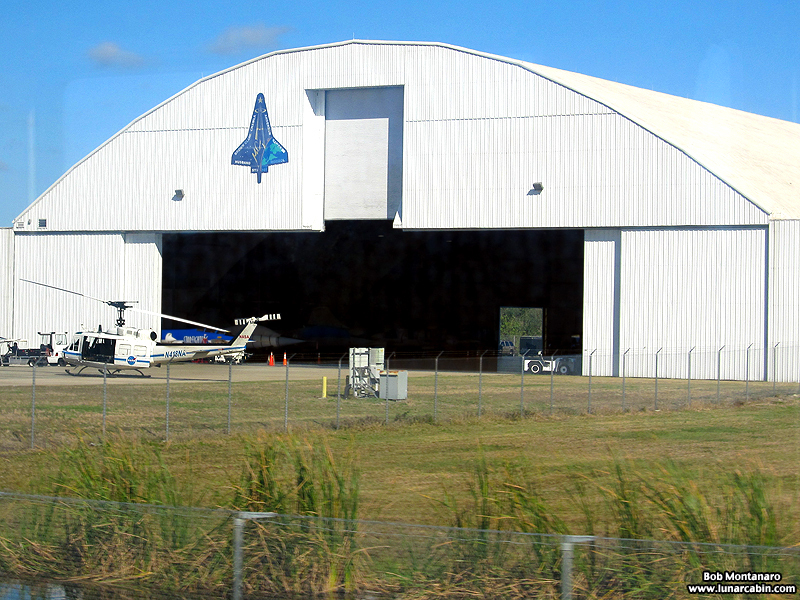 The Reusable Launch Vehicle Hanger, located at the south end of the Shuttle Landing Facility, is used for a diverse number of activities, including storage of NASA helicopters used at Kennedy Space Center as seen here. One of the buildings most memorable uses was the collection and reconstruction of debris from the Space Shuttle Columbia during the accident investigation. The event is commemorated with the STS-107 logo on the building. Space Florida currently manages the facility under contract with NASA.